Several countries around the world have already legalized gay marriage for their residents including Belgium, Denmark, The Netherlands, Sweden, Spain and Argentina. In North America, Canada has legalized gay marriage for residents and visitors alike, and the subsequent travel by gays and lesbians to these destinations to have their unions formalized, albeit in a foreign country, has already begun. Gay marriage is legal in Massachusetts (to residents only, but that may change soon), the District of Columbia, Connecticut, Vermont, New Hampshire and New York. Internationally, the UK, South Africa and Gran Canaria offer civil partnerships to residents and visitors. Switzerland, Czech Republic and France offer civil partnerships to residents only. Several companies, both in travel and wedding/event planning, have cropped up in recent years to address these needs. In addition, first with civil unions and then marriage being legal in Vermont, many Americans have traveled there over the past few years to have legal civil union ceremonies performed, even though those unions are only recognized and have legal rights in the state of Vermont. With gay marriage now front and center in American news and politics right now, many marriage and wedding companies have either added gay couples as one of their new target markets, or have started a new business targeting this new-found opportunity, performing a wide variety of ceremonies to date. 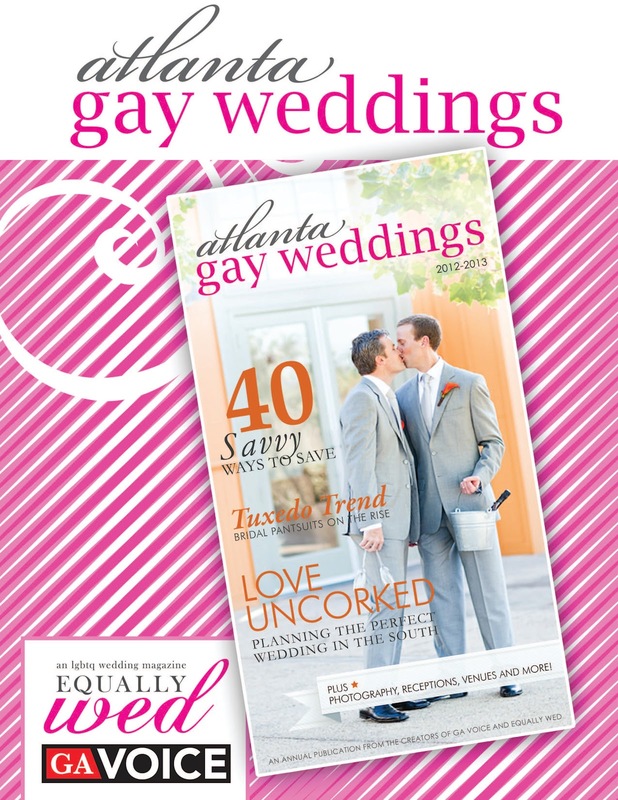 In print, there are now two gay wedding magazines, with a third on the way. 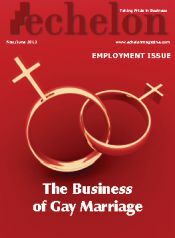 The first is the Rainbow Wedding Network Magazine, launched in April 2006 as the inside source for all the current events, planning resources, trends, home and family ideas and other vital issues for gay and lesbian couples, their families, advocates and allies. It includes exclusive interviews, community connections, political dialogue, fashion and fun. The second, and more recent, is Pink Weddings Magazine from the UK, including articles on fashion, wedding venues, romance and news. 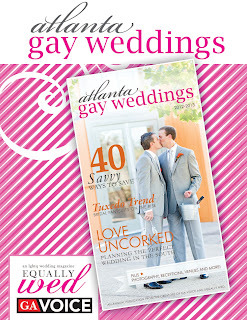 Atlanta Gay Weddings, premiering in the fall of 2012, is a joint venture by EquallyWed.com and the Georgia Voice. It will be offering Atlanta and its surrounding cities beautiful and innovative ideas that span every wedding detail, from the proposal to the honeymoon, tailored to the LGBT community. 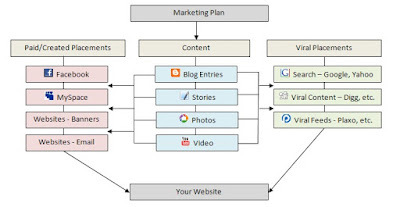 To locate these various resources online, several sites have emerged to address this market. GayWeddings.com, EquallyWed.com and the RainbowWeddingNetwork.com are three in particular that have emerged recently. Right beside GayWeddings.com is RainbowWeddingNetwork.com. In addition to offering a comprehensive online directory of gay-friendly wedding services, they also offer an online wedding registry. They also put on the recent “Same Love, Same Rights” Gay Wedding Expos held throughout the country. Perhaps the most comprehensive, EquallyWed.com sets itself apart as more of a true online magazine and social community, with social media sharing built in nicely throughout the entire site. It includes planning tools, photo galleries, socially interactive community forums, local resources, honeymoon destinations, as well as travel news and deals. Other sites that are also emerging in this market include GayWeddingFodder.com and GayRites.net. In the retailing side of life, OutVite.com has a wonderful site dedicated to custom-printed gay & lesbian wedding invitations, commitment ceremony invitations, adoption and birth announcements, party invitations and more. Additional retailers include TwoBrides.com and TwoGrooms.com. One interesting business in the world of gay weddings is the Gay Wedding Institute, which positions itself as a company offering gay wedding certification to other businesses in the gay wedding and wedding planner industry. A growing sector in the Marriage and Weddings category is the Gay Wedding Expo. Taking the lead in this is the Rainbow Wedding Network, with wedding expos recently held in Los Angeles, New York, San Francisco and Atlanta, with upcoming venues to include Seattle and other key areas on the map when it comes to gay & lesbian marriage and wedding ceremonies. In the UK, there is the Gay Wedding Show, begun in 2004 and now one of the largest gay & lesbian wedding shows worldwide.